The knowledge gained from this interview will uncover the reasons why Fintech is booming in Japan although it is a very new concept. Japanese financial institutions have understood the need of innovation for investment opportunities but also as a way to improve efficiency and find new revenue streams. Fintech is a strong opportunities for growth in Japan. 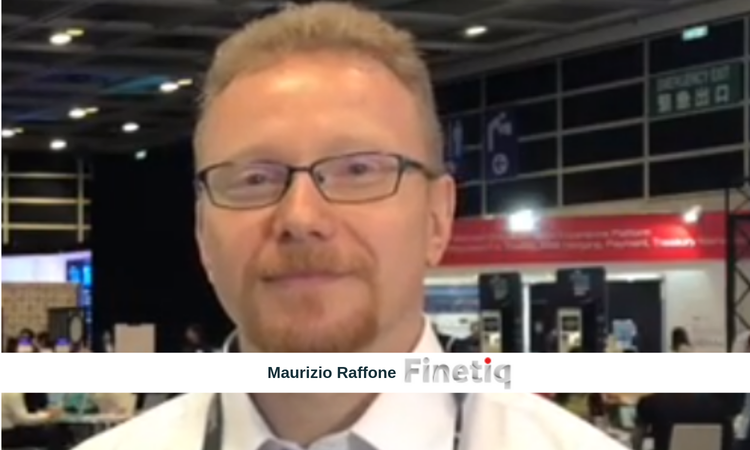 Today we present the interview with Maurizio Raffone, CEO of Finetiq Limited a management consulting company with a clear focus on Asian markets, especially Japan and Hong Kong. Hi Maurizio, can you tell us a bit about you, your education and professional profile? Hello everyone. Before Finetiq I spent over 20 years in international finance roles at various investment banks, between London, Tokyo and Milan, with a focus on structured credit, derivatives and fund management. I graduated a long time ago with a masters in finance from Cambridge and a bachelor in economics from the University of London. What exactly do you do with your company Finetiq? Finetiq supports c-suite managers of companies active in the FinTech industry with the implementation of best practices, in-depth market research and business development. Geographically we focus on the Asian markets, in particular Hong Kong and Japan, helping clients localize their service/product offering and support their market entry. With which kind of companies do you usually work with? early-stage startups or scaleup? We have three main types of clients: startups, established corporates and public agencies. With regards to startups, we focus on those that have already done a Series A funding round and are looking to scale up. However, we will take on clients at an earlier stage in case of exceptional management teams. In the future, we aim to develop our own fintech investment fund and be able to support our clients financially too. How does Japan compare to the rest of the world in terms of its fintech ecosystem? Japan’s fintech ecosystem is quite deep but growth hasn’t been uniform in all sectors. For example, the crypto space is very advanced given early legislative clarity and a proactive regulator. In fact, there is unprecedented government support towards fintech and technology developments in general, which is a natural strategy to fend off the pervasive aging population problem that the country is facing. The startup community is also coming out of its shell and we are seeing more and more fintech companies emerging and M&A activity starting to pick up. The local fintech association represents both startups and established financial institutions and is very active in promoting more collaboration. The biggest issue is early-stage funding, as most VCs are corporate-based and don’t tend to be involved in seed/Series A rounds. We believe Finetiq can play an important role as a bridge between the Japanese fintech market and the rest of the world, for example we collaborate with a number of foreign embassies’ trade missions in Tokyo (and Hong Kong) to raise the profile of the local fintech market. In your opinion, are we going to see any collaboration between Asian banks and European fintech companies in the near future? The banking landscape in Asia is very heterogenous and it is difficult to generalize. However, generally Asian financial institutions haven’t experienced the same degree of stress that European and US banks have over the last 10 years (global financial crisis, Greek crisis, etc) and tend to enjoy fairly protected domestic markets. So, the banks’ drive to innovate is perhaps not as strong as we see in Europe. However, I do see a lot of potential between European fintech companies and Asian technology companies, which are beginning to move into financial services, particularly in the payments space. The Asian tech companies’ mindset is also more compatible with that of fintech firms and we are seeing investments pouring in from the likes of Softbank, Tencent and Rakuten for example. How do you see fintech in Europe from your point of view? Thanks to the pro-competition legislation enacted by the EU and a deep pool of talent and entrepreneurs, I believe Europe has a fantastic opportunity to establish itself as the main fintech market globally. However, compared to the US, it lacks uniform scale and a deep venture capital pool, and compared to Asia, it has a lot of legacy systems and rigid business models to overcome. However, we have seen tremendous innovation in several fintech areas coming from Europe and the quality of our Europe-based clients is second to none. Nevertheless, I am slightly worried by the effect that Brexit may have on the European fintech market. The UK is a trend-setter in the industry and has a very favorable tax regime for startups, hence why so many European fintech companies originate there. Only time will tell. What is it like to being a CEO of a fintech consulting company? It is incredibly exciting and rewarding. Finetiq works with different types of clients in several fintech verticals and geographies. We help clients have a structured approach to their fintech strategy and therefore adopt the same rigour to our own activities: we monitor our KPIs very closely and strive to provide value to our clients in all the stages of our work. Personally, I am humbled by the caliber of people I work with and enjoy the diverse nature of the relationships we build with different clients. The only downside is the extensive travelling required by my job which reminds me of my days working for investment banks. Amazon is very proactive in the fintech and insurtech ecosystem, do you think Rakuten will have a similar approach? I don’t think so … I know so! Rakuten invited me to speak at their latest Tech Conference last October and they made it very clear that they will focus on two areas going forward: fintech and healthtech. The biggest difference with Amazon lies with the overall strategy: until now Amazon has focused its activities as an infrastructure player and enabler. Rakuten will instead be more involved in driving new business lines in fintech. In fact, Rakuten has a number of strong international assets that they’ve acquired over the years and fintech can help unlock synergies and value in them. Rakuten is also developing an important blockchain strategy after two important investments (a crypto exchange and an R&D lab). Europe will be a key market for Rakuten, so watch this space.